How will a reckless driving charge affect my military service? A reckless driving conviction can have severe consequences for your future, especially if you're planning to enlist in the military. Air Force. Reckless driving is a Category 4 moral offense in the Air Force. You'll be disqualified if you have two or more Category 4 offenses within the last three years, although a recruiting squadron commander may be able to get the disqualification waived. Other common Category 4 offenses include disorderly conduct and unlawful possession of alcohol or tobacco. Army. If you have two or more misdemeanor charges on your record, including reckless driving, you'll need a waiver to enlist. Four or more misdemeanor convictions will prevent you from enlistment. Navy or Marines. Reckless driving is considered a serious offense regardless of whether it's a misdemeanor or felony charge. Misdemeanor convictions can be waived at the district level, but a felony reckless driving conviction will require a waiver from the regional headquarters. This typically only happens when recruiting rates are lower than anticipated. If you're currently enlisted, you'll be required to report your reckless driving arrest to your commanding officer. Penalties are specific to your branch of service. However, one common issue of concern is maintaining an active security clearance. Security clearances in the military have three levels: confidential, secret, and top secret. If you've been convicted of reckless driving, getting or renewing your security clearance may be problematic. A conviction isn't automatically disqualifying, but factors into evaluations of trustworthiness, reliability, loyalty, and honesty. If you're interested in enlisting or are currently serving in the military, access to skilled legal representation is vital in minimizing the negative effects of a reckless driving charge. T. Kevin Wilson is committed to helping Virginia drivers handle both misdemeanor and felony reckless driving charges. Call today to schedule a free, no-obligation initial case review. If you've been charged with reckless driving, you may be wondering how your court appearance will be handled and what happens if the arresting officer doesn't show up. Although many people think having the officer fail to appear in court will get your ticket thrown out, this is seldom the case. In Virginia, most courts give an officer one assigned day per month when all of his cases will be handled. This makes it much easier for the officer to avoid missing a court date, but sometimes absences are unavoidable. Officers may be sick, have a death in the family, or be busy tending to some sort of public safety emergency situation. When this happens, the court will generally continue your reckless driving case until the next month so the officer will be able to present the necessary evidence. The only way your case would be dismissed is if the officer doesn't show, doesn't call in with a valid excuse, and doesn't respond to the court's attempts to schedule a new appearance. However, this is very rare. Police officers recognize that court appearances are an important part of their job and that failure to appear in court can result in disciplinary action. Reckless driving carries significant penalties, including stiff fines, the possibility of jail time, and the stigma of a criminal record. Since it's unlikely that your case will be dismissed due to the arresting officer's failure to appear in court, your best option is to work with a skilled attorney to build a solid defense. There are a number of different strategies that can work to reduce or drop a reckless driving charge, such as having your speedometer calibrated, attending a driver improvement clinic, or voluntarily completing community service to demonstrate remorse for your actions. An experienced attorney can help you decide which strategy will work best for your particular circumstances. T. Kevin Wilson has extensive experience helping Virginia residents handle both misdemeanor and felony reckless driving charges. We also represent those who have been Call today to schedule a free, no-obligation initial consultation or fill out our contact form on this page. If the court requires me to put an ignition interlock device on my vehicle, does the court system pay for it? No, the court will not pay for your ignition interlock device. Since 2012, any Virginia driver convicted of Driving Under the Influence (DUI) is required to have an ignition interlock device installed on his or her vehicle before restricted driving privileges will be granted. An ignition interlock, sometimes called a breath alcohol ignition interlock, is a device that requires the driver to blow into a mouthpiece before starting the vehicle. If the device measures a blood alcohol concentration (BAC) over the legal limit, it prevents the vehicle's engine from starting. Once the vehicle has been started, the ignition interlock requires periodic breath samples. If the sample shows an unacceptable BAC, an alarm sounds until the vehicle is shut off or a clean sample is provided. If you're required to have an ignition interlock on your vehicle as a condition of getting a restricted license, you must pay for the device yourself. There are several different companies offering ignition interlock devices for Virginia drivers, which helps keep prices competitive. In most cases, you'll pay about $80 per month. Installation is typically free, but the monthly maintenance fee is necessary to make sure the device is working appropriately. If you fail to comply with the monthly maintenance of the device, you'll lose your restricted license. Unfortunately, people who are unable to afford the cost of an ignition interlock have limited options. The device is required by law to obtain a restricted driver's license. If you can't afford the fee, you can simply opt not to request a restricted license and seek alternative transportation for work, medical appointments, and Alcohol Safety Action Program (ASAP) meetings. Driving a borrowed vehicle is not a way around the ignition interlock requirement. Offenders are required to have an ignition interlock device on every vehicle they drive, even if it's not registered in their name. If you've been charged with a DUI, it's vital that you find a skilled attorney to advocate for your interests throughout the process. Please call today to schedule a free, no-obligation case review with Virginia DUI defense attorney T. Kevin Wilson. A need for speed can get you into big trouble with Virginia law enforcement officers, especially if you're caught drag racing. Virginia considers drag racing a form of reckless driving that’s punishable with hefty fines as well as jail time. Convicted offenders will also find themselves with a criminal record, creating problems when it's time to get a job or rent an apartment. Drag racing is defined as a race between two or more vehicles on Virginia's public streets or highways, or in the driveway or premises of a public business, school, church, or recreational facility. The race must have defined start and end points. Drag racing is generally considered a misdemeanor, with a six-month to two-year license suspension. Misdemeanor offenders also receive six demerit points on their driving record. This form of reckless driving can be a felony if someone is seriously hurt or killed as the result of your actions. As a Class 6 felony, drag racing is punishable by one to five years in prison. The most obvious defense for a drag-racing related reckless driving charge is that you weren’t actually engaged in a race. Since drag racing is defined by a predetermined start and end point, two vehicles speeding alongside each other aren't automatically considered racing. Reckless driving cases centered around allegations of drag racing typically depend heavily on witness testimony, which can be subjective. If the witnesses don't agree you were racing, you may have a viable defense. If you were on private property, you may have a defense if the property owner or someone who lawfully represents the property owner is willing to testify that you had permission to be operating your vehicle in the area. To protect your rights, you'll want to enlist the services of a reckless driving attorney familiar with cases involving drag racing. Virginia defense attorney T. Kevin Wilson provides superior representation in both misdemeanor and felony reckless driving cases. Please call today to schedule a free, no-obligation case review. Should I have my speedometer calibrated? You may think a safe driver pays careful attention to the car's speedometer, but this device isn't always an accurate indication of how fast you're going. 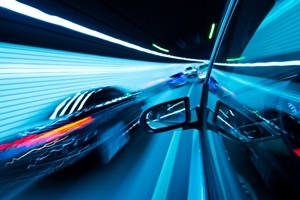 Having your speedometer calibrated can give you a more accurate indication of your speed while serving as valuable evidence in a reckless driving by speed case. Typically, your car comes direct from the factory with a speedometer variance of one to three miles per hour. As you drive, this discrepancy slowly increases. Part of this is simply attributed to the general wear and tear on your vehicle, but problems with your tires or transmission can accelerate the process. If you've been charged with reckless driving by speed, Virginia courts will allow you to use a speedometer calibration certificate as evidence in your case. However, the certificate must be from a shop within the state of Virginia. Calibrations from other states are often inadmissible because they don't meet the court's requirements for authentication. The most accurate speedometer calibration is done using a dynamometer. This machine works by having your car placed with the wheels resting on the dynamometer's cylinders. As your car's wheels turn, the dynamometer shows how fast your car would be traveling if it was on the road. If there's a difference between the dynamometer reading and what your car's speedometer says, this evidence can be submitted to possibly reduce or drop your charge. If you're not 100% positive your speedometer is inaccurate, you might wonder if obtaining a calibration is risky. Although it's possible a calibration could hurt your case, you don't need to provide the certificate to the court unless the prosecution requests it. In most cases, a calibration certificate that shows you were actually driving faster than what the officer who ticketed you listed belongs to you alone. Virginia treats reckless driving by speed as a serious offense, with stiff fines and the potential for jail time. To protect yourself, seek the assistance of an experienced defense attorney. Contact attorney T. Kevin Wilson to schedule a free, no-obligation case review. 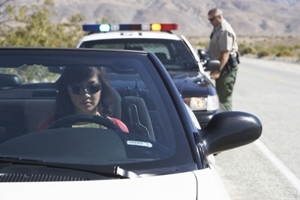 When can entrapment be used as a DUI defense? If you've been charged with a DUI in Virginia, you may find yourself wondering if entrapment works as a viable defense. Although TV courtroom dramas often make it seem like arguing entrapment will get any criminal charge dropped, the reality is that entrapment is almost never a successful DUI defense. Entrapment means that someone has been encouraged, enticed, or essentially tricked into committing a crime by a law enforcement officer. In terms of a DUI defense, entrapment is rarely successful. To have a viable claim for entrapment, an officer has to have persuaded you to do something you otherwise wouldn't have done. The most common scenario in which an arrested driver unsuccessfully tries to claim entrapment occurs when an officer is patrolling outside a bar waiting to pick up people who get behind the wheel after having too much to drink. Since the officer is in a public area and not interacting with the bar's patrons beforehand, this conduct isn't entrapment. The patrons who drive drunk would have gotten behind the wheel regardless of whether the officer was present. A more viable defense for a DUI would hinge on whether the officer had a valid reason to pull over the driver. Simply exiting an establishment where alcohol is served doesn't give the officer a reason to pull over a driver. However, speeding, swerving, or running a red light would all be valid reasons to pull over a driver. Even something as minor as a broken tail light could be considered a valid pretext for a DUI stop. Challenging the validity of the stop is often successful as a DUI defense because evidence from an illegal stop is inadmissible. This means that there's typically no case if the stop wasn't legal. If you've been charged with a DUI, possible penalties include fines, jail time, license suspension, and the stigma of having a criminal record. To protect yourself, it's vital that you hire an experienced defense attorney. Contact attorney T. Kevin Wilson to schedule a free, no-obligation consultation. Can a police officer search my car after pulling me over in Virginia? Probable cause. A law enforcement officer is allowed to search your vehicle if he has probable cause to believe there is incriminating evidence inside. Searches incident to arrest. If you're arrested following a traffic stop, an officer can conduct a search of your vehicle to look for weapons or evidence relating to the arrest. However, the weapons justification for a search is only valid if you're within reaching distance of the vehicle at the time of arrest. An officer can't search your car using a safety justification if you're already handcuffed in the back of a squad car. Consent to search. 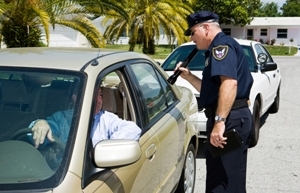 Barring other legal justification, an officer is allowed to search your car if you give him permission. However, your consent must be freely and voluntarily given. If you've been coerced into allowing the officer to search your car, the evidence obtained can't be used against you. Inventory search. After a DUI arrest, your vehicle may be impounded. When this happens, law enforcement officers can conduct a search to inventory the contents. The purpose of this type of search is to make sure any items in the car are accounted for and can be returned to the owner when the vehicle is released. However, officers can use any incriminating evidence they find as a result of this type of search. When you are stopped by a law enforcement officer, you must provide your name, driver's license, and vehicle registration card. You are not legally obligated to answer any other questions or to provide consent to search your vehicle. It's best to remain calm, assert your rights politely, and refrain from physically interfering with the officer's work. If appropriate, your attorney can later challenge the validity of the search. To learn more, call to schedule a free, no-obligation consultation with T. Kevin Wilson at 703-361-6100 or fill out a contact form here and we will speak with your soon. Can I Avoid a DUI Checkpoint in Virginia? Virginia law makes DUI charges and convictions a matter of public record. This can create significant problems for job seekers, since a drunk driving arrest will show up on a routine pre-employment background check. It has been estimated that 90-95% of employers run background checks for either some or all of their available job openings. Background checks can be ordered from law enforcement agencies or third-party data brokers. Employers should not adopt a blanket policy of excluding all applicants with a criminal record. Instead, the Equal Employment Opportunity Commission (EEOC) recommends evaluations on a case-by-case basis. The problem with a DUI conviction is that it can draw into question your ability to safely operate a motor vehicle for work-related purposes—creating a problem if you work in a field that requires regular business travel. If it's a second or third offense, a DUI may also cause your potential employer to believe you have a substance abuse problem. Virginia law prohibits employers from asking about criminal records that have been expunged. Unfortunately, while some states allow DUI charges to be expunged, Virginia only allows for expungement if you're later proven innocent or were wrongly accused of the crime. The best way to protect yourself from the negative effect of a DUI charge on your future employment opportunities is to hire an experienced attorney. An attorney familiar with Virginia's DUI laws may be able to get the charges dismissed or reduced. While the arrest will still show up on a background check, this will be much less damaging than a conviction. Employers are more likely to give a qualified candidate the benefit of the doubt when an arrest can be explained as an isolated misunderstanding. To learn more about building a strong DUI defense, contact the Wilson Law Firm. Attorney T. Kevin Wilson, an experienced Northern Virginia DUI defense lawyer, is committed to helping clients minimize the impact of a DUI arrest on their future. Is a DUI a Misdemeanor in Virginia? Depending upon the circumstances, a drunk driving charge in Virginia can be prosecuted as either a misdemeanor or a felony. How a DUI is classified makes a significant difference in terms of what punishment you will be facing. As a general rule of thumb, courts in the United States consider a crime punishable by incarceration for up to a maximum of one year to be a misdemeanor. If the crime carries a penalty of incarceration for one year or more, it is considered a felony. In the majority of cases, a Virginia DUI arrest is considered a misdemeanor. You will only be charged with a felony if it is your third offense within a 10-year time period. A third offense DUI is prosecuted as a Class 6 Felony. DUI penalties are assessed regardless of whether you cause an accident. If someone is hurt or property damage is involved, you may be facing additional charges. Virginia law enforcement officers automatically report a DUI to the Central Criminal Records Exchange at the time of your arrest, leaving you with the potential for a criminal record that can impact your future employment opportunities and general reputation. 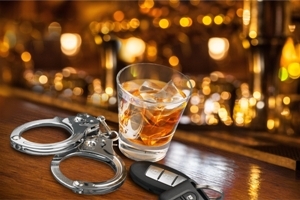 If you've been charged with a DUI, enlisting the services of a skilled attorney is a must. Even a first-time DUI conviction can have major consequences for your future. T. Kevin Wilson is on the cutting edge of DUI defense, with specialized education, training, and experience in areas such as breathalyzer accuracy and field sobriety testing. Call today to schedule a free, no-obligation consultation. Can I Cross State Lines With A Suspended License? Yes, at least temporarily. In the USA, each individual state honors licenses to drive issued by sister states. This allows you to drive in states other than your home state even though you don’t have a license in that particular state. For example, if your license was issued by Virginia, that license allows you to drive in every other state as long as it remains valid, assuming you have not had your privilege to drive in some other state revoked. If you have had your privilege to drive in some other state revoked, then your Virginia license allows you to drive everywhere except that state. If you have been arrested or ticketed and accused of Driving on a Suspended or Revoked License, or some other Criminal or Traffic violation and would like to speak with a Virginia DUI / DWI Criminal & Traffic Defense Lawyer, call The Wilson Law Firm at 703-659-9740 and we’ll be happy to discuss your situation with you in more detail. What is Administrative License Suspension in Virginia? If you find yourself in the unpleasant situation of being arrested for DUI, there will be a lot of things going through your mind. There’s nothing pleasant about being arrested nor about the unwanted attention you’re likely to get in the community. However, one concern that may come up over and over is: will I still be allowed to drive? There’s a lot of misinformation about how license suspension works in Virginia. You’d probably assume that your license cannot be suspended unless you’re actually convicted of DUI. After all, everyone is innocent until proven guilty, right? But in Virginia and many other states, license suspension begins as soon as you’re arrested for DUI—even though you haven’t gone to trial yet. This is called Administrative License Suspension, or ALS. ALS is handled by the Department of Motor Vehicles, not by the courts. It’s the state’s way of making sure that potential drunk drivers aren’t back on the road during the time from arrest to trial. If that sounds unfair to you, you aren’t alone; most people charged with DUI are shocked to learn that this takes effect before their trial. ALS is issued automatically after virtually every DUI charge. For first time offenders, ALS will suspend your license for seven days. For a second offense the ALS lasts for 60 days, or until you go to trial, whichever is quicker. For a third offense and beyond, the ALS will last until you go to trial, no matter how long that takes. ALS doesn’t only apply to DUI charges as such, however. Refusing to take a breath test when accused of DUI is also illegal, and ALS will kick in if you refuse the breath test as well. It’s always best to cooperate with police and accept the breath test, even if you think you may be over the legal limit. Even the first time ALS of seven days can be a major burden. Missing up to a week of work can be a disaster, especially if you’ve already missed days due to being in jail. The longer ALS periods are even more severe. There are ways to get limited driving privileges, however. It’s possible to apply for restricted driving privileges from the DMV even while ALS is in effect. This can allow you to drive to work, school, and doctor’s appointments, which can help you keep your life on track as you await the next step of the legal process. If you have been arrested for drunk driving, don’t try to navigate these complex rules on your own. The Wilson Law Form can help you apply for restricted driving privileges and will fight for you both in and out of court. Call us today for a FREE consultation on how to proceed with your case. Can a Medical Emergency Be Mistaken for DUI? Not long ago we wrote about a local school bus driver who was arrested for DUI with a bus full of kids. That driver has now been vindicated and was not under the influence of any substance. So what happened? The answer is an important lesson for both law enforcement and drivers. The driver in question is 60-year-old Dorothy Youngs. She was arrested in June after Virginia Beach Police received reports that her school bus was swerving. The bus was pulled over and Youngs was asked to perform field sobriety tests in a nearby parking lot. When she failed, she was arrested on suspicion of driving under the influence. Her bus was full of 5- to 12-year-old children. Parents and the public were understandably upset. However, investigators have now cleared Dorothy Youngs of all charges. She was never under the influence at all. Rather, she was having a medical emergency when she was arrested. The new information helps solve a puzzle that never made sense in the original story. No one accused Youngs of drinking and driving—she was accused of driving under the influence of drugs. Witnesses reported that she was completely unaware of her surroundings, and police helped hold her up. It seems unusual that a 60-year-old woman with no drug history would be using so many illegal drugs that she couldn’t even walk. A health problem that affected her driving makes a lot more sense. Police should be trained to recognize health problems. Instead of rushing Youngs to the hospital police forced her to complete sobriety tests and then took her to jail. Thankfully Youngs is alive, but if she had been having a stroke it could be a very different story. If drivers are experiencing distress, they should pull over immediately. Whether it’s a migraine, dizziness, chest pain or symptoms you cannot explain, you should not be behind the wheel. Pulling over and calling for help not only means you won’t be mistaken for a drunk driver, it will also help prevent a potentially serious accident. We’re glad Ms. Youngs had a talented legal team that was able to gather evidence and clear her name. It is much harder to fight a DUI charge alone. If you need an experienced DUI defense lawyer, contact The Wilson Law Firm for your free consultation today. 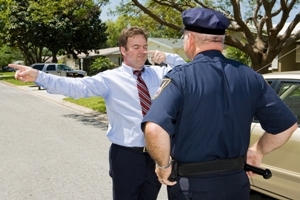 Can I Avoid a DUI Checkpoint in VA By Turning Around or Pleading the Fifth Amendment? Checkpoints are interesting. The general rule is that police have to have a good reason, before they can stop you, to prevent you from going about your business. That’s rooted in the Fourth Amendment, which says you’ve got to have protection against unreasonable searches and seizures. And our courts have decided that in order for the search or the seizure to be reasonable, they need to at least have some reason to believe you’re doing something wrong. That is completely different in the situation of a checkpoint. Police set up a checkpoint, or a roadblock, or whatever they want to call it, and they’re stopping everybody on the road, and they have no reason to believe that anybody has done anything wrong. That is exactly what is prohibited by the Fourth Amendment. That is the definition of an unreasonable search and seizure. The police are stopping you even though they don’t think you’ve done anything wrong. But, our courts decided that drunk driving is such a big problem that they’re going to allow a very limited, sort of they’re chipping away at that Fourth Amendment, they’re going to allow that sort of a very brief limited stop if it’s done in a certain way. They’ve got to have written procedures and stick pretty close to that. It’s got to be a brief encounter. It’s supposed to be no more than a few seconds. And that’s why … because otherwise, it’s an absolute violation of the Constitution. When you see one can you avoid it? Yes. You do not have to go through a checkpoint, if you can drive away from that checkpoint without breaking laws. Sure. All my clients seem to slam on the gas and make a U-turn, crossing double yellow lines, and cutting somebody else off, and drawing attention to themselves by committing other violations trying to avoid the DUI checkpoint. But if there are signs that say, hey, a mile ahead there’s a DUI checkpoint, and there’s a road to turn down, you’re free to turn down that road before you get to the checkpoint. There’s nothing wrong with that. What you can’t do is commit some other violation. Once you pull up to the checkpoint, and you’re engaged with an officer, now you have that same decision to make. What am I going to do here? Am I going to answer his questions or am I going to not answer his questions? If there’s any reason to believe that you’re somebody that needs to be further screened, they’ll move you over to a second staging area, and go into the full DUI investigation. If you sort of pass that initial screening, they’ll just waive you on your way and you’ll pull right on through. Most of the checkpoints they don’t talk to every vehicle. I shouldn’t say that. I guess it depends on how busy the traffic is. But they will have a plan. That plan that they have for the checkpoint will dictate whether they’re talking to every vehicle, every third vehicle, and every fifth vehicle, whatever it is. And the others have to be able to pass through without being stopped at all. But if you’re one of the ones they’re engaged in conversation with, and if they smell alcohol, they’ll process you over, push you over to that other staging area and have that same old DUI investigation that they would have had if they’d caught you speeding, or doing some other violation. When Is A DUI A Felony In Virginia? You may have experienced that terrible moment when you glanced in your rearview mirror and wondered if you might be over the legal limit. Perhaps you had three beers, but it was spread over several hours time. Or maybe you had one strong drink just 10 minutes ago. There are a million questions that may flash through your mind, one of which may be: Is DUI a felony offense in Virginia? Your first move after an arrest should be to obtain competent legal counsel. At The Wilson Law Firm, our Virginia DUI defense attorneys can tell you whether or not your DUI arrest constitutes a legitimate felony charge, and offer you much more. At our law firm, we have the knowledge, skills, and determination to see our clients through a vigorous defense against DUI charges. When is DUI a Felony in VA? A DUI can also be charged as a felony when there is an accident with injuries. In addition to the criminal charges there could also be separate personal injury litigation. In the most famous instance of this, O.J. Simpson was found not guilty of murder at his criminal trial, but liable for wrongful death in his civil litigation. A defendant convicted of a third DUI in Virginia may be declared a habitual offender if all three of their DUI convictions took place within a 10-year period. Habitual offenders may lose their driving privilege indefinitely, although in most cases they will be able to petition for reinstatement of restricted privileges in three years, with full privileges in five years. Get the traffic stop disallowed and the charges dropped if there is proof you were stopped illegally. At The Wilson Law Firm, we provide you with options, but the decisions are always yours. Is a DUI a felony in Virginia? The Virginia DUI lawyers at The Wilson Law Firm will give you the guidance you need to obtain the results you deserve. Contact us to schedule your free, confidential initial consultation today. How Common Is a False Breathalyzer Reading? A Breathalyzer device is a machine or device commonly used by law enforcement officials to measure the blood alcohol content (BAC) of an individual, such as a driver during a traffic stop who is suspected of DUI. Some devices are portable so they can be easily transported by law enforcement officers. Other models are designed to be stationary and placed in police stations. These devices are marketed and sold under various brand names, including Alcosensor, Intoxilyzer, BAC Datamaster, and Alcoscan. Although many Breathalyzer devices are on the market, they all work in basically the same manner. Breathalyzers measure the alcohol content in a person’s breath, as opposed to alcohol blood tests, which directly measures BAC. Through an alcohol content measurement, the Breathalyzer device estimates the person’s BAC. It is well-established that alcohol blood tests are the most accurate way to determine a person’s BAC. However, due to their expense and inherently intrusive nature, i.e. drawing blood from a person’s body, Breathalyzer machines are the most common tool used by law enforcement to evaluate an individual’s BAC. Law enforcement agencies in all states rely heavily on Breathalyzer tests to charge individuals with DUI. Likewise, prosecutors often use Breathalyzer results as the basis for DUI convictions. 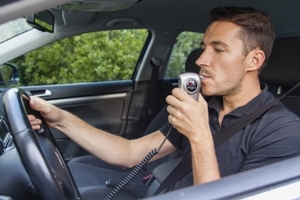 Nonetheless, a variety of outside factors can directly affect the accuracy of breath test results, as can errors in the administration of Breathalyzer devices. As a result, some studies estimate that about 23% of individuals tested using this method will have an actual BAC that is significantly lower than the BAC reading, sometimes by up to 15%. Since BAC levels can govern whether a person is convicted of DUI, and in some states, the degree of the crime charged, having potentially false or misleading BAC results is extremely problematic. Let’s take a closer look at some of the outside factors and errors in administration that may affect the outcome of a Breathalyzer test. There are some medical conditions that directly impact an individual’s BAC reading. For instance, gastroesphageal reflux disease (GERD) is one medical condition that can directly affect the results of your Breathalyzer test. In fact, it can create a false positive reading or a test reading error. Most Breathalyzer machines are designed to measure alcohol content in the lining of your lungs. However, medical experts advise that it is the air deepest in an individual’s lungs that provide the most accurate measure of blood alcohol content. In an individual who suffers from GERD, alcohol actually can move from the stomach to the back of the throat. Therefore, an individual with GERD may register a much higher and wholly inaccurate BAC reading when taking a Breathalyzer test. Likewise, even individuals without GERD may register incorrect BAC readings from a Breathalyzer if they have recently eaten a meal that produces a great deal of acid reflux, such as meals that are extremely greasy or spicy. The presence of acid in one’s breath or mouth can skew the BAC results to produce a false outcome. As a result, the presence of GERD in an individual may serve as a defense to DUI charges based on Breathalyzer test results. Acetone production, commonly found in the breath of diabetics, as well as individuals who have gone on the Atkins diet or other types of low-carb diets involving fasting. One study estimates that the presence of acetone, for instance, can add a 0.06% BAC reading to any existing alcohol content, or even create a 0.06% BAC reading in someone who has drank no alcohol at all. On the other hand, it is a myth that substances that mask the odor of alcohol affect Breathalyzer results. Eating mints, onions, and garlic may cover up alcohol odors, but will not affect a Breathalyzer reading one way or another. Therefore, while the substances listed above can impact a Breathalyzer test result, substances that merely alter the odor of alcohol will not impact it. Another outside factor that can significantly alter Breathalyzer test results is temperature, include body temperature and air temperature. Having a fever at the time you undergo a Breathalyzer test can result in inaccurate results, as well. On average, for every 1 degree that your body temperature is above normal, your BAC reading will increase by 8%. Likewise, an individual’s breathing rate also can have a direct impact on his or her BAC reading, as measured by a Breathalyzer. Vigorous exercise, hyperventilation, or holding one’s breath for only 30 seconds can substantially affect a BAC rate, by as much as 10%. Finally, weather temperature can affect BAC readings, as well. If the Breathalyzer device is not calibrated or adjusted in order to account for the outdoor temperature, a Breathalyzer test that is administered outdoors may display an incorrect reading. With any instrument that contains electronic circuitry, including Breathalyzer devices, there is the chance that electromagnetic interference (EMI) from other devices can interfere with the instrument’s readings or results. This phenomenon is perhaps best illustrated by the effect that a microwave can have on a person’s pacemaker. Other instruments, however, including many instruments commonly found at police stations, such as dispatch radio transmitters, walkie-talkies, cell phones, computers, and even fluorescent lighting can create such interference. As a result, the presence of these instruments can skew Breathalyzer result readings. Again, this type of interference can be the basis for challenging the accuracy of Breathalyzer test results in DUI cases. Another potential flaw in Breathalyzer devices is a lack of routine maintenance and appropriate testing. As highlighted by a recent Oklahoma Supreme Court case, Breathalyzer results may be insufficient to establish DUI where the results may be flawed due to a lack of maintenance or testing standards for the Breathalyzer used in the case. More specifically, the police department involved in the case had no written standards or procedures governing the testing or maintenance of these devices; as a result, the machines were used for about five years without any testing to determine that their readings were still accurate. Another issue related to the maintenance of Breathalyzer machines is the need to calibrate the devices on a regular basis. If these devices are not regularly maintained and calibrated as needed, the results of an individual’s Breathalyzer test can be inaccurate. Law enforcement officials must maintain accurate records of calibration and maintenance of every Breathalyzer device used. If they fail to do so, then these elements are easily challenged in many DUI cases. Police officers should be properly trained in the use of Breathalyzer devices in order to ensure that they are appropriately administered. For example, these devices often need to be calibrated prior to use. An inexperienced officer may fail to properly calibrate or otherwise ready the device before administering a Breathalyzer test during a traffic stop. This improper administration of the test may render results that are simply incorrect. As these many examples illustrate, Breathalyzer test results can be affected by a wide variety of factors, ranging from environmental factors to medications, from consumption of certain products to operator error. The documented lack of accuracy in Breathalyzer test results can be an integral part of a strong defense to DUI charges. Given the many different circumstances that can affect a BAC reading taken from a Breathalyzer test, there are many alternatives available for challenging the test results. These challenges can lead to grounds to negotiate a lesser charge or penalty, or even to the dismissal of charges in some cases. Contact the Wilson Law Firm and speak with attorney T. Kevin Wilson, an experienced Northern Virginia DUI defense lawyer. Call toll free at (800) DUI - LWYR or (703) 361-6100 and get your legal questions answered. We will fight hard for your rights. Also, visit our website and download your FREE copy of DUI/DWI Arrest Survival Guide - The Guilt Myth, written by attorney T. Kevin Wilson. Read this book and avoid common mistakes that could hurt your case. Lastly, you can fill out the short form below. A DUI arrest comes with many complications. During the arrest itself, your mind will likely be on the big picture: will you go to jail? Will you lose your license? How much will this cost you? But soon after your release, you will have to deal with dozens of smaller factors as well. One of those is getting your car back. Your car’s fate depends on the circumstances of your arrest. There are three main outcomes, depending on the officers’ attitude and your driving record: they may leave it on the roadside, impound it short term, or impound it long term. If you have a valid driver’s license at the time of your DUI arrest, the arresting officers have some leeway in how to handle your vehicle. The best case scenario is that they simply leave it on the side of the road where they first arrested you. They may tag or mark it so Highway Patrol knows it has already been dealt with, or they may leave it as-is. If this is the case, you can ask a trusted friend or loved one to come get it for you. You can also get it yourself once released as long as your temporary license is still valid. But you should act quickly: if it sits there too long, it could be considered abandoned and be towed. They don’t want to deal with calling your friend or relative to come get it. They want to search it for evidence. If it’s impounded, they have a right to. They want to make your life harder. This last reason is surprisingly common. It’s usually the result of disrespectful or uncooperative behavior. It’s best to be polite and cooperative with the police, and if you are, they may not impound your vehicle. If your vehicle is impounded in this manner, you will be able to get it back within a few days. You will have to pay the towing and impound fees, and will need ID to claim it. If you were driving on a suspended license, police have little leeway. They have to impound your vehicle. This is true if your license was suspended administratively or as part of a criminal penalty—such as from a previous DUI. If this is the case your car will be impounded for a full 30 days upon your arrest. If you’re convicted, it could be impounded up to 90 more days. The fees for impoundment are not cheap. They include the cost of towing, which is often $200 or more on its own, plus a per-day fee. The fee varies with location but can easily be $50 or even $70 per day. That can total over $8,000 in four months. If the car is not yours, there is a ray of hope. The registered owner can come get the car out of the impound lot. But if they knowingly let you use the car without a valid license, they may face criminal charges of their own. If you have been arrested for DUI, don’t let a conviction deprive you of your car—or cost you thousands. Call The Wilson Law Firm and get a free consultation today. Document the situation to the best of your ability. Your case will likely not be resolved in court for another 30 to 90 days and the chances that you will forget certain potentially important details is high. That is why It is important to document as many details as possible while the incident is still fresh in your mind. Every detail in your case has the potential to be important. Be sure to include details surrounding events leading up to the actual arrest, including your meals eaten that day. Your food consumption and beverage intake during the period before the arrest may impact your Blood Alcohol Content (BAC). Also remember to include names of any witnesses and check with them to see what, if anything, they might be able to add to your recollection. Consult with an experienced DUI firm. If you have discussed your situation with anyone, it is likely they know someone who has been convicted of DUI and they want to tell you all about it. Your mailbox is probably flooded with advertisements from different attorneys. When you ask for information on a DUI charge, a Google search routinely delivers millions of results. With all of these available sources of information, it is possible that you have actually come across some misinformation about DUI defense. Take some time to contact an experienced Virginia DUI firm so you can rid yourself of misinformation and get any remaining questions answered accurately. Once you are arrested for a DUI, your information is automatically transmitted to VASAP. You will have the option, in most jurisdictions, to pre-enroll in the program. We recommend that you do this as it shows the courts you have taken the initiative to put yourself in a better position relating to your pending case. Pre-enrolling in VASAP is not an admission of guilt. VASAP can help your case by providing positive feedback as to your admittance and attendance in the program. Obtain a copy of your driving record. A copy of your driving record covering ten (10) years of driving history provides much needed background information. The state will obtain this information and we will need to know what they are going to see to be prepared. If you have had a license in different states over the past ten years, contact each state’s DMV to obtain the necessary history. Most states allow you to request the report online, although some may require that you call to make the request. Gather all commendations to help your defense. Awards, certificates, letters of recommendation and proof of military status can have an impact on potential plea negotiations. Understanding who you are and from where you came can help to build a strong defense to get the charges against you reduced or dismissed entirely. For more information about DUI defense, call The Wilson Law Firm at (571) 364-6693 to speak with a qualified attorney today. We can educate you about Virginia DUI laws and help you take the appropriate steps toward an effective defense. What Is Considered Drugged Reckless Driving In Virginia? Most people associate DUI with drunk driving, but few people realize that drugged driving is just as serious. A conviction of driving while under the influence of drugs (DUID) in Virginia can lead to an array of consequences that can seriously impact your life. Providing you with a strategic defense. Taking action to reduce your charges and penalties or even get your case dismissed entirely. When arrested for DUID, you need the legal advice and guidance of an experienced DUI attorney who understands the complexities of DUID, which combines science with law. The Wilson Law Firm serves clients throughout the state of Virginia by providing results-oriented legal services to make a difference in the outcome of your case. Under Virginia law, it is unlawful for anyone to drive or operate a motor vehicle while under the influence of any narcotic drug or any other self-administered intoxicant or drug of whatsoever nature, or any combination of such drugs that impairs his or her ability to do so. You can, therefore, be charged with a DUID if impaired by a street drug, prescription drug, or even an over-the-counter drug or a combination of these types of drugs found in a blood sample. A doctor’s valid written prescription is no defense if your driving was observably impaired. Many prescription drugs as well as over-the-counter drugs affect the nervous system, motor skills, and judgment. For example, cough syrups, allergy or cold medicines, and sleep aids are known to cause drowsiness that can affect one’s driving. For all other drugs, including marijuana, specific DUID amounts are not addressed under Virginia law. Nabbed for drugged driving in VA? Understand what the law prescribes and how a Virginia drugged driving lawyer can defend you.The attorneys at the Wilson Law Firm provide personalized service that is highly responsive to your needs along with proven experience and professionalism. Contact us to schedule your free consultation today – 24/7 availability. Call today. What Does the VA DMV Do After a DUI? If you are arrested for drunk driving, you will not only need to attend a court hearing but you will also be subject to administrative action by the Virginia Dept. of Motor Vehicles (DMV). The DMV actually plays a major role in determining when, or if, you can get your driver’s license back and what you must do in order for your license to be reinstated. Many people who are arrested for impaired driving are surprised to find themselves coping with an administrative license suspension by the DMV. Others may not know how to navigate the agency requirements for reinstating a suspended license or getting a hardship license. It is important to understand your rights and to be prepared for actions the Virginia DMV will take against you. The Wilson Law Firm can represent you both in your court proceedings and in administrative processes involving the DMV. Call or contact us online today to learn more. While you may be concerned that a judge is going to order a suspended license if you are convicted of drunk driving, the DMV is actually the first to act. As soon as you are arrested for impaired driving, the Department of Motor Vehicles will suspend your license. Depending upon whether you have any prior offenses, this administrative license suspension can remain in effect until your court trial at which time your license may be revoked for a period of time. The DMV provides a Compliance Summary and Driver Transcript with information on the specific requirements that you must fulfill in order for your license to be reinstated. At The Wilson Law Firm, our experienced Virginia DUI lawyers are not only prepared to represent you in court but we can also help you in navigating the DMV maze. From fighting an administrative suspension to getting your license reinstated, our attorneys will do everything that we can to help you protect your right to drive. To learn more about how we can help you with the Virginia DMV, contact us today to speak with a member of our legal team.